It was depressing news for me. 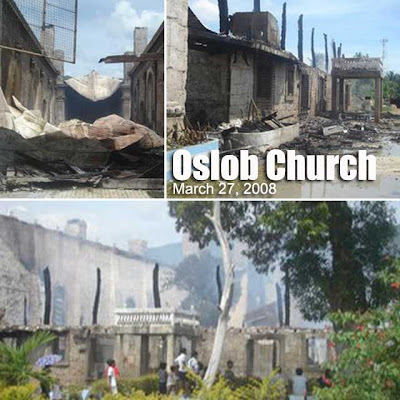 The 178-year old Oslob Church was destroyed by a fire which hit at dawn today. 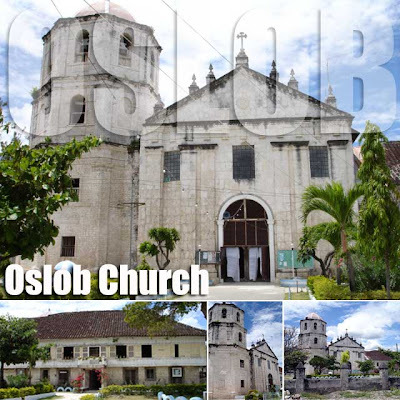 The church was was a very important element out the Southern Heritage Trail of Cebu. A landmark of the town, it was one of the few churches with an intact clay tile roof convento. This incident highlighted two things. The first and most obvious is that fire fighters in these remoter parts of the country are ill-equipped and not prepared. Imagine, the fire station was just 50 meters away. But fire fighters and residents had to push the fire truck to the church! Second, it shows the importance and need for architectural documentation for all our heritage sites. In cases like these, if the site was documented, we could easily refer to the diagrams to restore the church. The Archdiocese of Cebu plans to rebuild the church within the year. I hope that they restore the church to its original form, just as other countries do when their heritage sites are gutted by fire. Brod, you were in Oslob? I was in Minglanilla, visiting my sister! 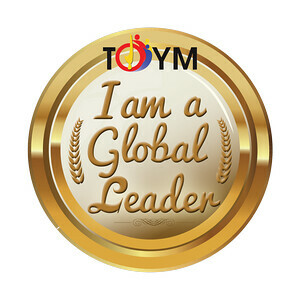 Just came back last night. No brod, I was here in Manila when it happened. damn shame. i agree with you completely that it be restored, not merely rebuilt. okay, just saw that link about the fire's origin. thanks for the update. @the jester-in-exile, let's keep our fingers crossed. @kate, faulty electrical wiring. It's sad reading the article. If what the kid was saying is true, it seemed the fire wasn't urgent to firemen and policemen. It was like, "Sorry our truck is not working, have a nice day." On the people in the convent, they should have just sent one guy over to the fire station and tried to douse the fire themselves while it was still small. Second, the church bells should have been pealed immediately. The church was by the beach and a line of townsfolk with pails could have helped douse the flames. Just thinking out loud. It's just depressing. i just hope that it will be restored. while not one of the most beautiful, it is still one of the province's heritage churches. I have visited this church since 2005 when I made detailed photographs of the interior, exterior, cemetery, belfry, and parts of the kumbento. now, I'm glad I did but at the same time quite sad of what happened. By the way, I'm starting my tribute to this church at my simbahan.net blog. Thanks for the link Estan. Hope you guys could contact the Cebu Archdiocese and offer your photos to them for the restoration efforts. HCS Youth Cebu should also send out statements to the media calling for the restoration of the structure back to its original state. this is sad, indeed. i got to visit this church (and the many other ones that line the southeastern part of cebu) last year, thanks to the information found on your blog. i do hope they can still restore it. @djong, we all hope they restore it. Let's cross our fingers. @jmalcibar, what do you expect of some priests? They do not realize what they are doing to our heritage.